Since The Origin of Species, Darwin’s theory of natural selection has been the foundation of our thinking about the evolution of life. 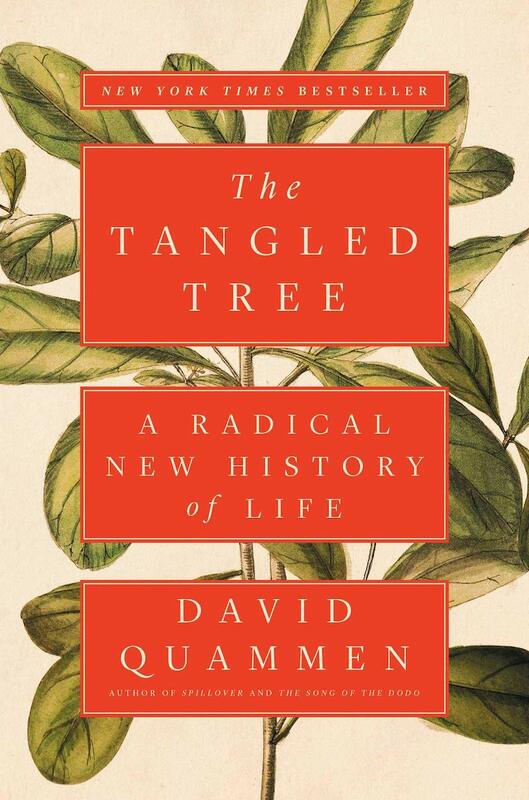 Along the way there have been challengers to the broadness of that theory, and David Quammen’s The Tangled Tree brings together three core “modern” concepts that are beginning to take hold, providing a deeper understanding how lifeforms evolve. The book mostly follows the research of the late Carl Woese, a microbiologist who spent his career studying microorganisms, looking for connections between creatures in the micro and macro. Beginning with Darwin’s tree of life, he sought to follow our individual branches back to the roots, looking for the cause of early splits and fractures in the genetic timeline that led us to where we are now. The discovery of the Archaea — through the work of Woese and his associates, we now know that what was formerly a two-kingdom world of “prokaryotes” and “eukaryotes” was more complex than that. Hidden within the prokaryote kingdom was actually a genetically distinct kingdom dubbed “archaea.” These are fascinating creatures more like alien life than visually-similar bacteria, often found at the most extreme habitats like volcanic vents and permafrost layers fathoms deep. Symbiogenesis — It was once thought that the organelles within cells developed on their own through natural selection and genetic mutation. This theory posits that certain components within cells were once their own independent (yet symbiotic) organisms, eventually subsumed by the host to become a single genetic lineage. Horizontal gene transfer — This process is the most radical of all, and is the most germane to modern science, particularly when it comes to combating bacteria that can mutate and become invulnerable to current antibiotics. The process involves genes moving between branches of the tree, versus in the strictly linear ancestor → descendant fashion we’re all familiar with from biology class. Humans likely have had material inserted into our genomes in the relatively recent past from life far different from ourselves. Quammen weaves together all of these ideas through the stories of their discoverers. There are probably a hundred different scientists mentioned in the book, many of whom collaborated along the way, sharing research findings and data to build a case that evolution doesn’t work exactly how we thought it did. The diversity of life is difficult to comprehend, and the book brought out many statistics and factoids that stayed with me long after reading. How do 4 acids configured into various protein structures manifest as “life”? The sheer quantity of life growing and evolving beyond our level of perception is mind-boggling. The total mass of bacteria on earth exceeds that of all plants and animals combined. Within a typical human body, bacterial cells outnumber all other “human” cells by a 3-to-1 ratio. A bacteria known as prochlorococcus marinus is the most abundant lifeform, with 3 octillion individuals presumed to exist. I’ve never been deeply interested in biology compared to other sciences, but The Tangled Tree was a thought-provoking, fascinating look at how much there is yet to be understood right at our fingertips. While we’re trying to understand the origins of the universe and what star systems look like millions of light years away, there’s also a mysterious, terrifyingly complex world within our own bodies.